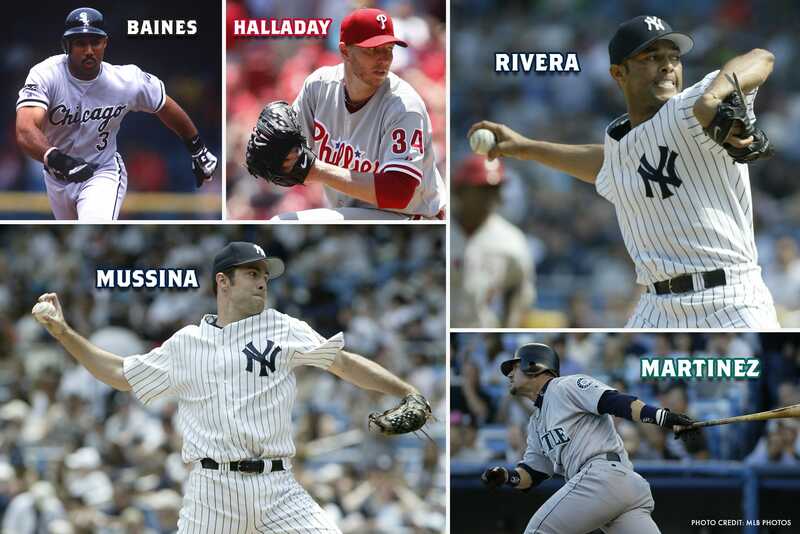 In addition to Montoursville-native and Little League® International Board of Directors member, Mike Mussina, and his fellow Little League Hall of Excellence enshrine and New York Yankees teammate, Mariano Rivera, three other Little League graduates spotlight the 2019 National Baseball Hall of Fame Class, which was officially announced on January 22. In total, five of the six inductees in this year’s Hall of Fame Class began their career in the Little League program. Each of the Hall of Fame inductees below began their prolific baseball career on the small Little League fields in their local communities around the world, and have since gone on to become inspirational role models for Little Leaguers everywhere. 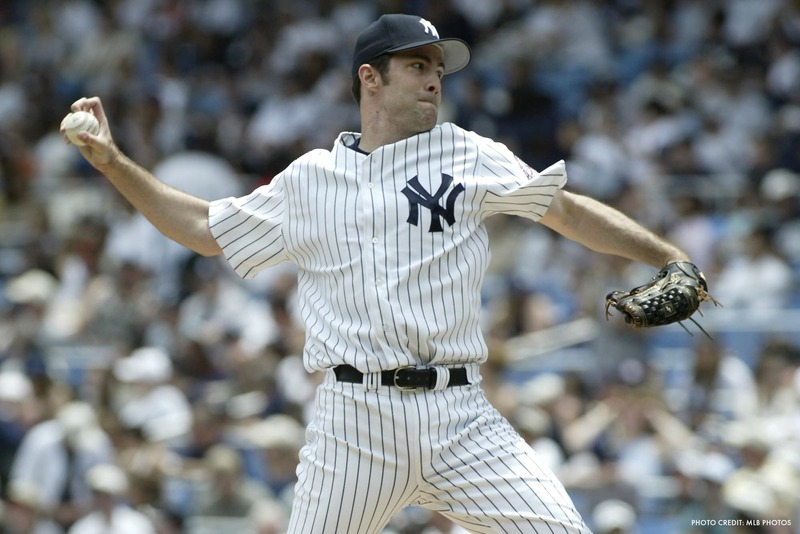 A five-time All-Star and seven-time Gold Glove winner, Mr. Mussina spent his MLB career in the American League East, playing for the Baltimore Orioles from 1991-2000 before joining the New York Yankees from 2001-2008, where he played in both the 2001 and 2003 World Series. Throughout his postseason career, Mr. Mussina posted a 7-8 record and a 3.40 ERA while recording 142 strikeouts in 22 games. In 1997, Mr. Mussina led the Orioles through four postseason games with a 2-0 record and 1.24 ERA, posting up 41 strikeouts in 29 innings of work. Along with a career .638 winning percentage, Mr. Mussina won at least 11 games in 17 consecutive seasons, and won an impressive 15 games in a season 11 times, including a 20-win season in 2008. 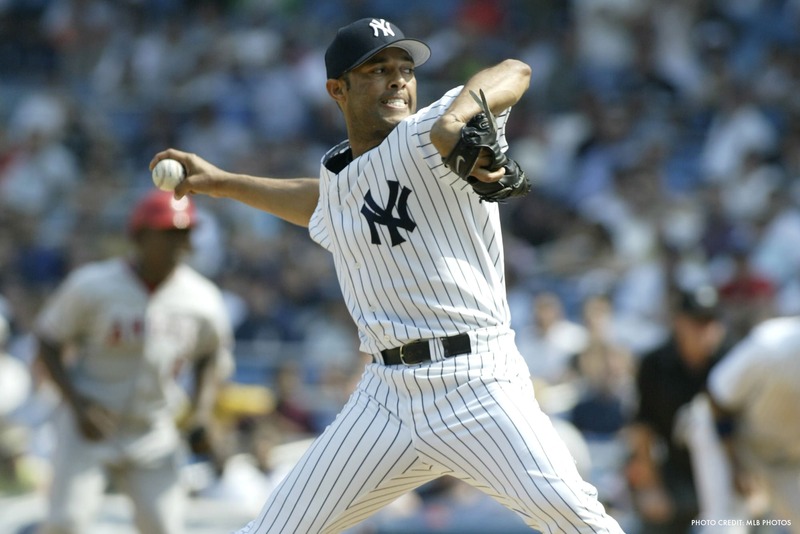 Drafted by the New York Yankees in 1990, Mr. Rivera made his first Major League Baseball appearance in 1995, then as a starting pitcher. He moved to the bullpen during the Yankees’ World Series run that year, and started establishing his legacy as the most dominant closer in the game’s history. In 1997, he became the team’s closer, a position he held until his retirement in 2013. He holds the MLB record for most saves with 652 and was named as an All-Star 13 times. His postseason dominance helped the Yankees win five World Series Championships. He has the lowest postseason ERA for pitchers with more than 30 appearances (.072) and the record for most postseason saves (42). He also became the last person in all of MLB history to wear the number 42, retired league-wide in honor of Jackie Robinson. In 2014, MLB named the American League Reliever of the Year Award in honor of Mr. Rivera. Selected 17th overall by the Toronto Blue Jays in the 1995 draft, Mr. Halladay went on to become well known for his ability to effectively pitch deep into games, going on to pitch 67 complete games and 20 shutouts throughout his prolific career. In 2010, Mr. Halladay pitched the 20th perfect game in MLB history and later that year threw only the second no-hitter in MLB postseason history, just behind Don Larsen’s 1956 perfect game. 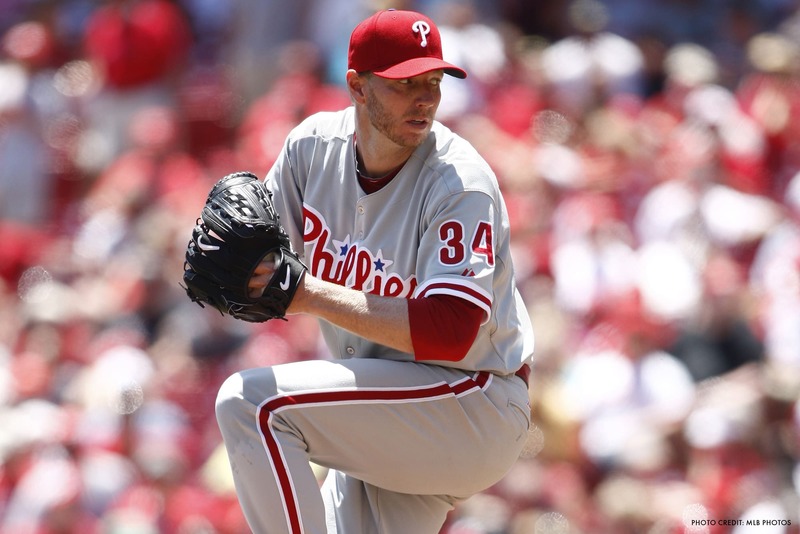 In 2012, Mr. Halladay went on to become the 67th pitcher to record 2,000 strikeouts and later became one of only six pitchers to win the Cy Young Award in both the American and National Leagues. Already a member of the Canadian Baseball Hall of Fame, Mr. Halladay finished his career as an eight-time All-Star, tw-time Cy Young winner, and a two-time MLB wins leader while posting 2,117 strikeouts with a career ERA of 3.38. Mr. Halladay unfortunately lost his life in 2017 in a plane crash and the Blue Jays organization posthumously retired his number 32 in March 2018. Mr. Halladay’s son, Braden, played at East Lake Little League and is committed to play baseball at Penn State University in 2020. 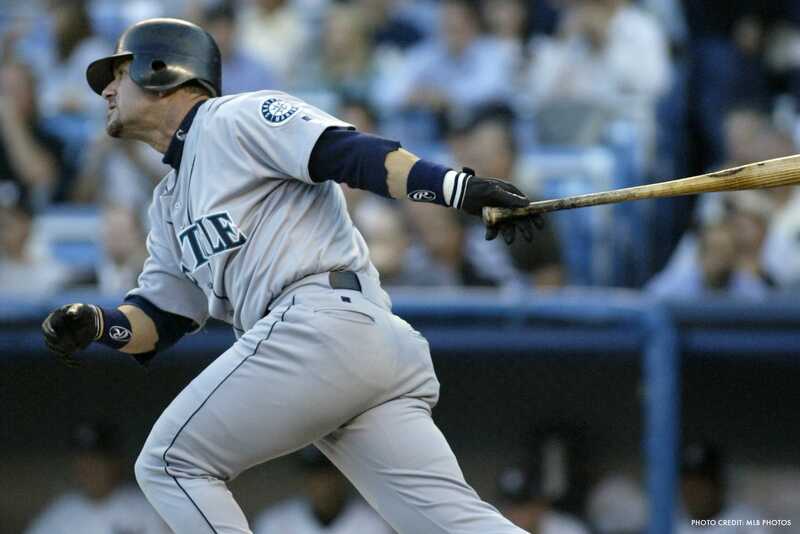 Signed in 1982 to a minor league contract with the Seattle Mariners, Mr. Martinez went on to play his entire 18-year major league career with the Mariners organization before retiring in 2004. Throughout his impressive career as a designated hitter and third-baseman, Mr. Martinez was named a seven-time All-Star, five-time Silver Slugger, and two-time American League batting champion after posting a .312 career batting average with 2,247 hits, 309 home runs, and 1,261 RBI. In his final season, Mr. Martinez was named the recipient of the Roberto Clemente Award, and is one of only 18 players with a triple-slash line (BA/OBP/SLG) of .300/.400/.500 or better with 5,000 or more plate appearances. A member of the Seattle Mariners Hall of Fame, Mr. Martinez’ number 11 was retired by the organization in 2017. In addition to his impressive baseball career, Mr. Martinez has been honored for on multiple occasions for his humanitarian efforts and support of local and national organizations, eventually being inducted into the World Sports Humanitarian Hall of Fame in 2007. The No. 1 pick in the 1977 amateur draft by the Chicago White Sox, Mr. Baines quickly made his way into the majors as an outfielder playing for Tony La Russa in 1980. In 1983, Mr. Baines helped lead the White Sox to the 1983 American League West title and over the course of five years was named a three-time All-Star while averaging 22 homers and 97 RBI. Traded to the Texas Rangers in the middle of 1989 as part of the Sammy Sosa deal, Mr. Baines went on to become a tremendous Designated Hitter in the league and ended his career with 2,866 hits, 1,628 RBI, 384 home runs, and six All-Star selections. Mr. Baines has also been honored with a statue at Chicago’s U.S. Cellular Field and a place in Orioles Hall of Fame. His No. 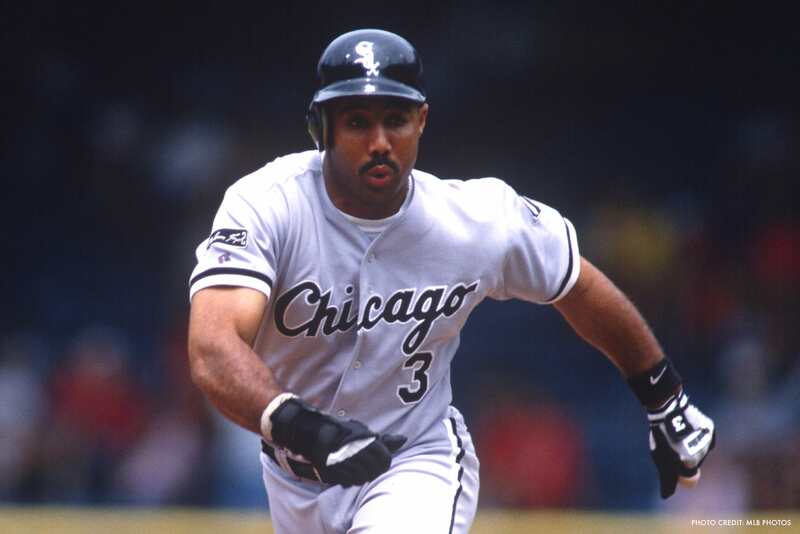 3 was retired by the White Sox in 1989 – just after he was traded to the Rangers. These distinguished individuals will join their fellow Hall of Fame class member Lee Smith at the official induction into the National Baseball Hall of Fame, which will take place in Cooperstown, N.Y., on July 21, 2019.